In 2015 two young baseball players from the Freedom Farm Baseball League signed to play in the Minor Leagues. In particular, Lucius Fox Jr and Jasrado Jazz Chisholm both shortstops with good arms and gloves. Two very nice, well-mannered kids you would have ever met. The Largest youth baseball league in the Country, boasting of over six hundred players. Jazz and Lucius had lots of players from Freedom Farm to look up too. Most notable Antoan Richardson, in addition to Albert Cartwright, to name a few. 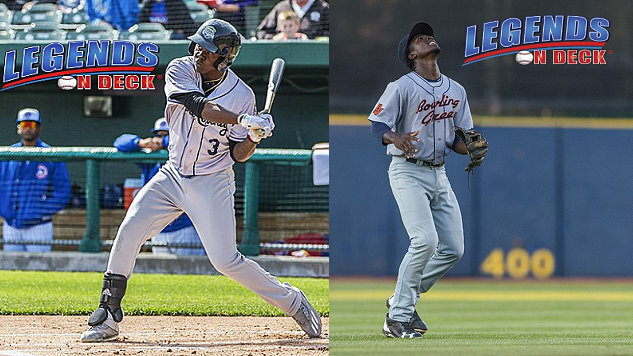 Jasrado and Lucius began playing in 2016, Jazz to Rookie League and Lucius to Single-A. In addition Jazz Chisholm being an All-Stars, Lucius Fox got traded from the Giants to the Rays. 2017 season saw Jazz season ending early with an injury; By the way, 2017 saw Lucius named to the Futures Game World Team. Also promoted from Single-A Bowling Green Hot Rods to Advance A Charlotte Stone Crabs. Finally, a healthy season where both players got to play the whole season, that saw both of them in the All-Stars. Jazz and Lucius were promoted, Jazz to Advance-A Visalia Rawhides, and Lucius to Double-A Mongomery Biscuits. Besides making the All-Stars, Jazz got his first 100 plus hits season and Lucius his second straight 100 plus hits season. Both finish the year playing in the postseason, Lucius and Biscuits lost in the playoffs, and Jazz and the Rawhides lost in the Championship. As a result, Jasrado Jazz Chisholm the Diamondbacks #3 top prospect along with being named DBacks 2018 top minor league player, was named to the Salt Lake Rafters; And Lucius Fox the Rays #9 top prospect to the Peoria Javelinas. Jazz Chisholm is hitting .300, 3 for 10 in 2 games played so far. Lucius Fox is hitting .419, 13 for 31 in 7 games; He has a hit in all games played, with two in 6 of the seven games played in the AFL. Right now the Arizona Fall League is in full swing with Major League Baseball Top Prospect Vladimir Guerrero Jr. | Rank: 1.